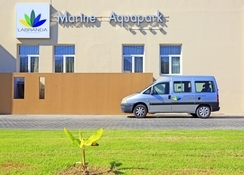 Expect action-packed days and relaxing nights at the family-friendly Labranda Marine Aquapark Resort. This beachfront getaway on the gorgeous Greek island of Kos is the perfect fly-and-flop destination. There is so much to do here, especially for the kids; they can enjoy the super-fun waterpark, kids club, two tennis courts and various watersports. It is one of the best hotels in Kos with water slides. Being one of the best resorts in Tigaki, it has a plethora of bars and restaurants, smartly-furnished rooms, fitness & wellness centres and a spa. 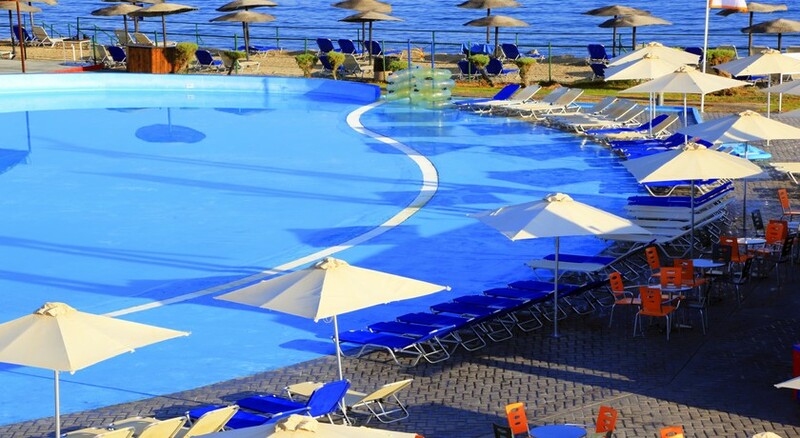 Alongside the waterpark, which is located right in front of the ocean and is manned by lifeguards every day, the private beach makes this a real standout Kos waterpark hotel. Restaurants offer kids menus and cater well for vegetarians. The hotel runs a bus service into beautiful Kos Town where you can get a feel for Greek life, and pick up souvenirs. 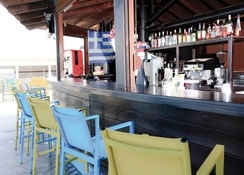 The hotel is on the sand and shingle beach overlooking the azure Aegean Sea. It is 6 km from Kos town and 19 km from the airport. The Labranda Marine Aquapark has an inbuilt waterpark featuring five different big slides and kid pools. 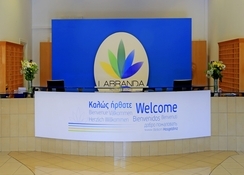 Labranda Marine Resort comprises of 338 rooms available with one or two bedrooms. Guests can choose between the stylish and well-appointed Double Rooms or practical and spacious Family Rooms, accommodating up to four or five people. 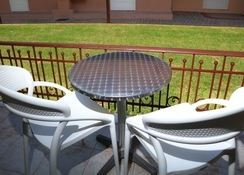 Each of the rooms feature air-conditioning, free Wi-Fi access, a private balcony, TV with satellite, fridge, hairdryer, direct dial phones and a fridge. The hotel’s main restaurant Nausika serves delicious Mediterranean and international cuisine and has a special menu for children and vegetarians. Pizzeria Trattoria is an Italian restaurant known for its pizzas and other snacks. The hotel also has a Greek tavern-style restaurant. The Calypso Pool Bar outdoors serves cocktails and mocktails throughout the day. For post-dinner cocktails, there is the Pan Lobby Bar. The waterpark has several pools where adults and kids can splash around and have fun. The Poseidon Adventure Wave Pool is a large swimming pool with a wave machine - rising as high as 1.5m! The Lotus Pool is located behind the adventure pool and is good for a quiet swim. The Olympus Pool is where the action is, with rides and slides such as black hole, swirl, kamikaze, water curtains, pirate-themed water mushrooms and more. This is also a supervised pool. Options to go windsurfing and kitesurfing are available on the beach. The tour desk can help plan excursions to local villages and markets and other nearby islands. My daughter and I went on a last minute trip to Kos and we had a lovely relaxing all inclusive holiday. She wants to go again this year! Myself and my 6 year old son spent 10 nights in the labranda last may. We had a fantastic time. My son particularly enjoyed the water slides which kept him amused for our stay. I was dubious about the food prior to our stay but I have to say it was unfounded. There was always a good choice and some really tasty choices. I wouldn't hesitate to stay here again and my son always comments how much he loved it so that's testiment enough! !